Take ownership in making downtown La Grange the best that it can be. Discover how your sponsorship, membership, donations, and volunteerism can help keep the revitalization of your town on track. The La Grange Main Street Program is a community effort for revitalization in the historic renaissance area. Because we are a 2014 nationally certified Main Street Program, we place our primary efforts in 4 areas: promotion, economic restructuring, design, and organization. As an association, we work through public/private partnership with the City of La Grange, area businesses, corporate sponsors, La Grange residents, other community associations and a host of volunteers. Complete the above application & mail with your payment, or use our Online App/Payment function. La Grange is a great place to live, work, and play. 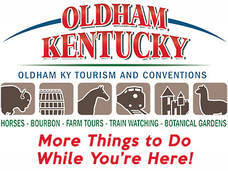 Oldham County’s educational program is top notch, among the best in the state. Our students enjoy a private school experience in a public school environment. We’ve seen an influx of residents seeking a small town experience, and our population shows that our schools are the best — families with children make up the majority of our population.